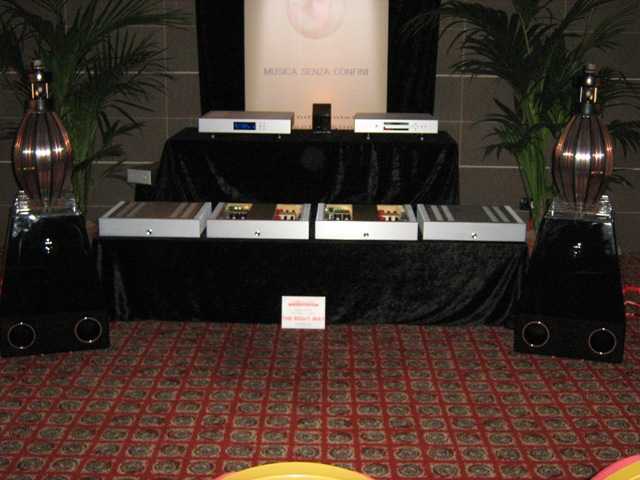 After other audio events got cancelled, audiophiles were hoping and waiting to attend to the latest edition of this Rome High End Show. Many visitors have crowded the demo rooms this year, despite the climate was mild enough to invite to take a stroll in downtown Rome or pay a visit to the seaside. My notes start with an absolute beginner, actually a very well known dealer (Di Prinzio) who has recently started designing his own home-made high sensitivity horn-loaded loudspeakers. A look at the speakers (these aren't the biggest ones of their line) can give an idea of what's behind Mino Di Prinzio's ideas about HiFi. Saturday, in the afternoon, there was a long queque of audiophiles waiting to listen to these creatures so I had to wait till Sunday morning, when I've been able to find a decent place for a 30 minutes careful audition. Louis Armstrong, played on this system, was really, really impressive. Next to the Di prinzio's room there was the Show organizer's demo room (Stefano Zaini's The Sound of the Valve), another high-sensitivity-devoted system. The two approaches are substantially different, though. The first one (Di Prinzio) uses horns and specific drivers while Zaini uses fullrange drivers installed into a dipole array. This year these fullrange drivers have been "aided" by a ion supertweeter. 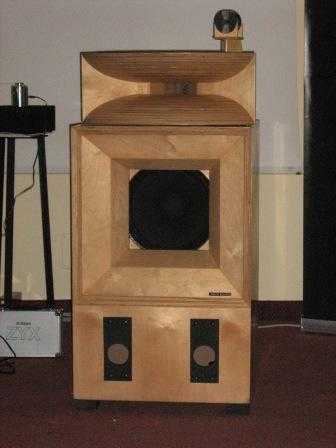 Di Prinzio, instead, uses a 15" Supravox woofer, a 2" TAD 4001 mid and a TAD ET 703 tweeter. All these drivers use powerful AlNiCo magnets. Not far from these high-sensitivity rooms there was a more traditional demo, by Audio Reference, with Gryphon Mikado Signature CD player, Colosseum Class A amplifier and Poseidon loudspeakers. 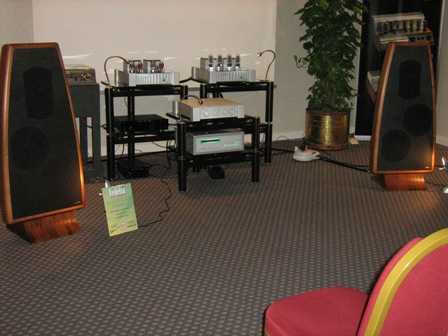 The demo also included Pass amps and ProAC D38 speakers. 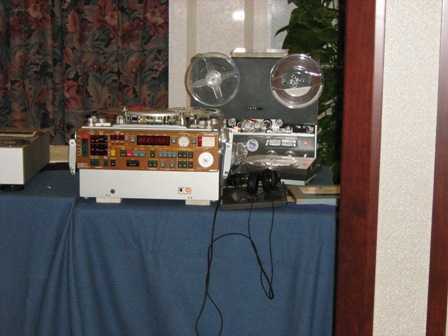 The analogue set up consisted of a SME20/12 turntable. Mr. Licciardello, the man behind Audio Reference, loves to laugh about general audiophiles' test CDs, referring to those as "sounds of birds from the Roman countryside". PFA2 was demoing the usual partnership of Conrad Johnson tube gear with Magnepan planar spekaers (the M20.1). Also available the amps and preamps from McCormak. Quite unusual for a modern HiFi Show was the presence of a pair of open reels recorders (left there by Audiophile Sound's Pierre Bolduc for a demo, I think). Unfortunately I haven't been able to listen to them. Still in the same floor, there was a huge room with a only static exposition of HiFi accessories, software, books, cables etc. Very interesting were the booths of Foné (Giulio Cesare Ricci, audiophile recordings) and Sergio Veschi's Red Records. Into the Tektron room there was an interesting set-up consisting of a custom integrated amp with 211 triodes (delivering 16 watts per channel) which was driving a highly modified pair of Klipsch loudspeakers. The mid-high horns had been detached from the speaker and "suspended" by means of a metallic rod (see pic). Definitely not the ultimate in terms of WAF but die-hard audiophiles are ready to divorce when pursuing their ultimate goals in high performance. Another amazing room was the one by HiFi Center, where a Sigma Audio Concepts "Rice" source was connected to a Norma preamp which was feeding 4 Norma power amps. 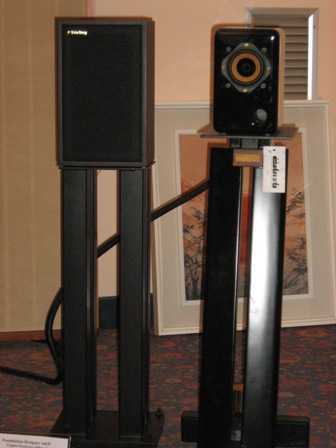 The bi-amped speakers were, as usual with HiFi center demos, the omnidirectional MBL 101E, in their mkII edition. 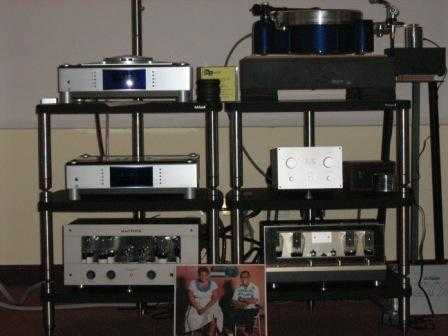 Norma's engineer and designer, Enrico Rossi, was demoing this set-up with the aid of the guys at HiFi center. At the lower floor I visited the AAAVT room. 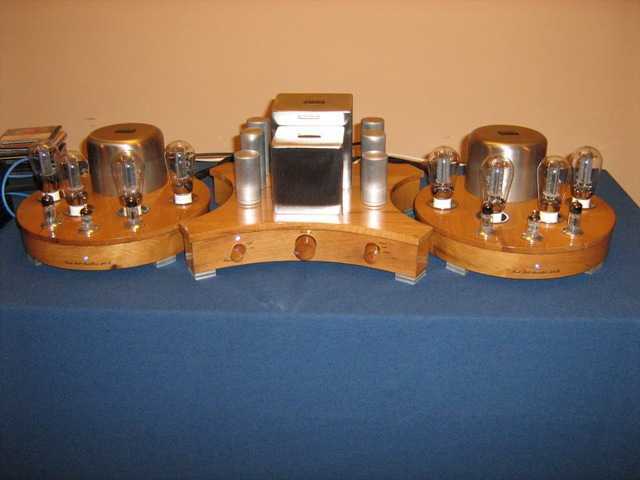 AAAVT is the Italian distributor of various inexpensive tube electronics. The demo consisted of three different set ups, of different price ranges. 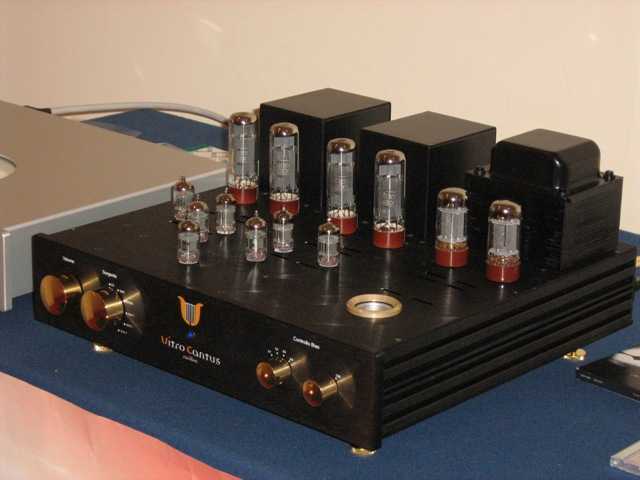 Believe it or not, the guys at AAAVT had organized a lottery, among visitors, and the prize was a Yarland Dreamwork M84 amplifier! A brief visit to Moonlight Records offers and I was ready to have a look at the static exposition of Nova electronics. Not far from Nova there was an absolute (Italian) beginner: Vitro Cantus. The demo was taking place in a kind of "open space" but, despite of this, the sound wasn't bad at all! 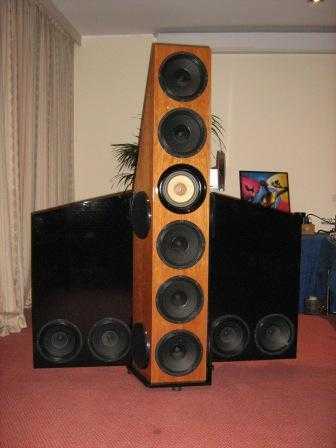 The speakers, called Monolite Gold 1011, were delivering a quite pleasant sound, indeed. 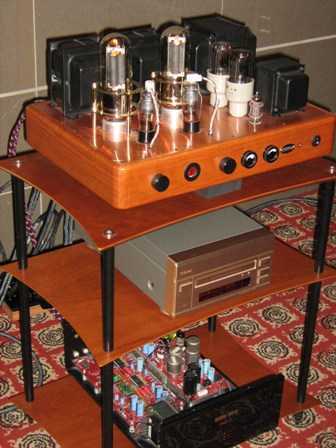 The amplifier, named Carillion, was an ultra-linear push-pull of EL34 in a dual mono setting. 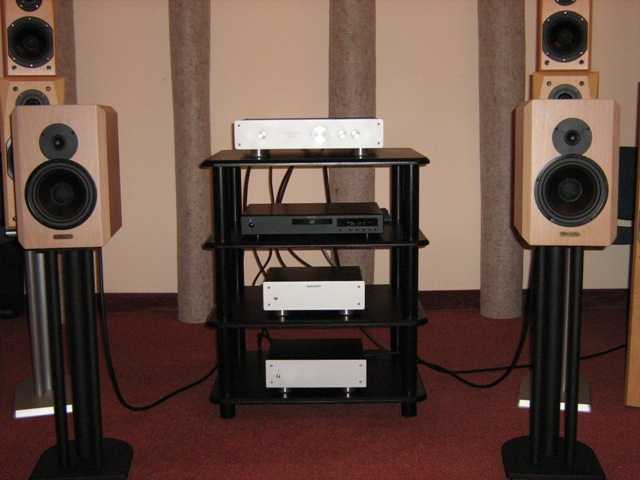 It delivers 35 watts per channel and makes use of hyper-selected components. 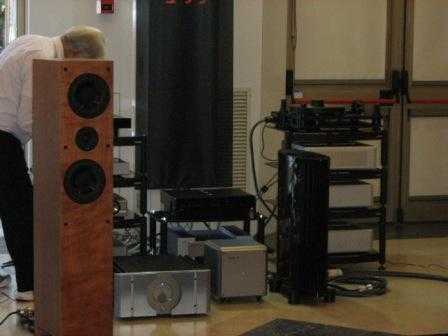 Upcoming are a new phono preamp and another integrated amplifier, based on EL84's. 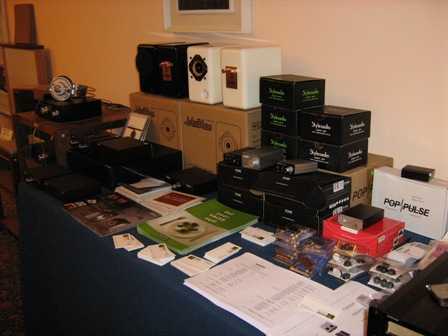 The Audiosophia room was demoing a system consisting of B2 speakers (1,800 €), 3030A integrated amplifier (1,200 €) and a new D/A converter, the DA 20 (1,240 €). 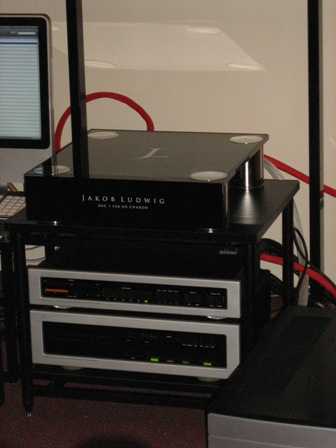 The Alchimie Musicali demo consisted of two different set-ups: a full-Naim system with Rega P7 turntable and a full Bel Canto system with digital source. The Nightingale electronics (Diva series, with direct-heated 300B triodes) were driving a pair of Concentus CTR-2 dipoles. 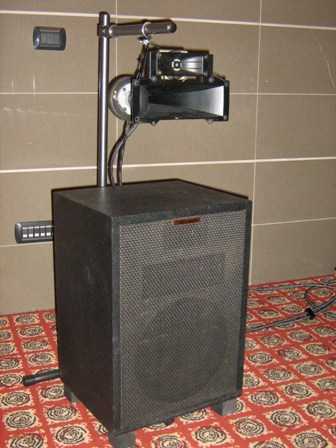 The speakers consist of a three way system with 90 dB/w/m sensitivity. Bartolucci Transformers were exposing their nice products, for the joy of the DIY crowd. 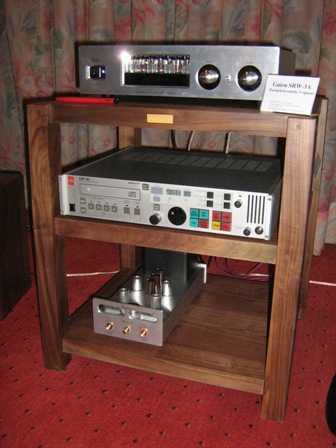 There was also a vintage system with tube electronics and Tannoy speakers (and a Rega Jupiter digital source). Playstereo, one of Italy's leading online stores, brought a part of their vast catalogue: speakers, electronics, racks and stands plus a pletora of different accessories. More precisly, there were the Stirling Broadcast Ls3/5A V2 loudspeakers on Foundation Designer stands and the John Blue 3 speakers we've recently reviewed. As for amps, one could choose between the new LFD Integrated Zero LE MkIII and the new battery-powered tube preamp Red Wine Audio Isabella with Signature 30.2 power amps. 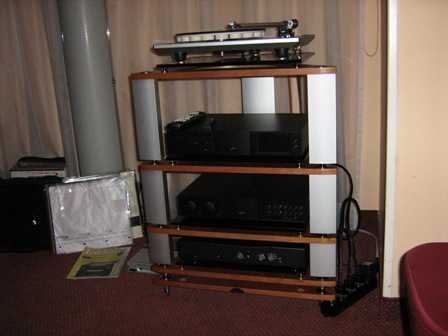 Elegant and classy were the Guizu racks (see a review here on TNT-Audio). 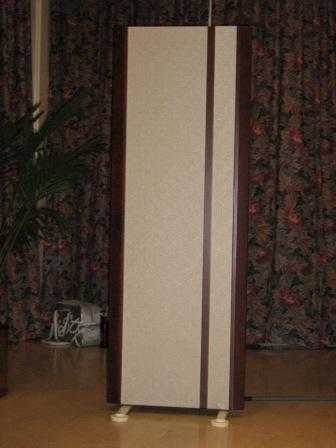 Apparently only in "static" exposition there were the Trends Audio TA 10.1 and the KingRex amps. Hoping to have satisfied the curiosity of those who couldn't attend, here my brief reportage from the Rome High End show stops. I'd suggest the organizers to avoid too many shows close one to the other. This is a niche maret, one can't expect audiophiles can visit all the shows if these take place in the very same period of the year. Thanks God there are still guys who take the risk of organizing audio shows, considering how small this market is and how bad the economic situation is becoming.